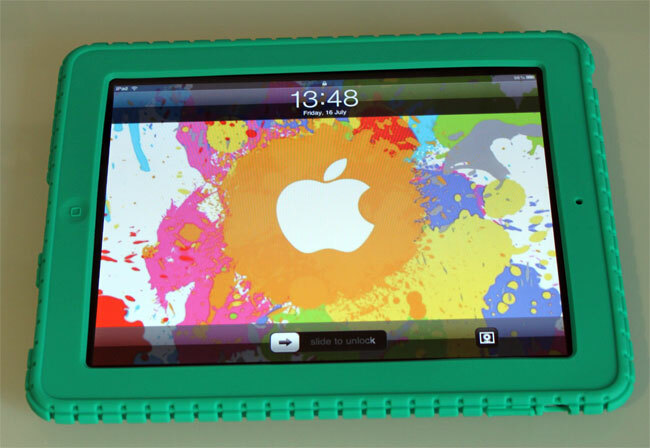 Yesterday we reviewed the Speck PixelSkin case for the iPhone 4, today we are looking at a larger version of this case for the Apple iPad, the Speck PixelSkin iPad case. Just like the iPhone version the Speck Pixel is made from rubber, and it fits neatly over the iPad to offer it protection from bumps and knocks, it features the same pixelated design on the back which offers some good grip. As with the iPhone version, the PixelSkin iPad case makes the iPad a lot easier to hold, and you would be a lot less likely to drop it using this case, it adds a bit of bulk to the iPad, but this is a small price to pay for the extra protection. The PixelSkin case the iPad features the same pixelated design, as the iPhone version, and it easily fits over the iPad but still gives you access to all ports, buttons, speakers and the headphone jack. 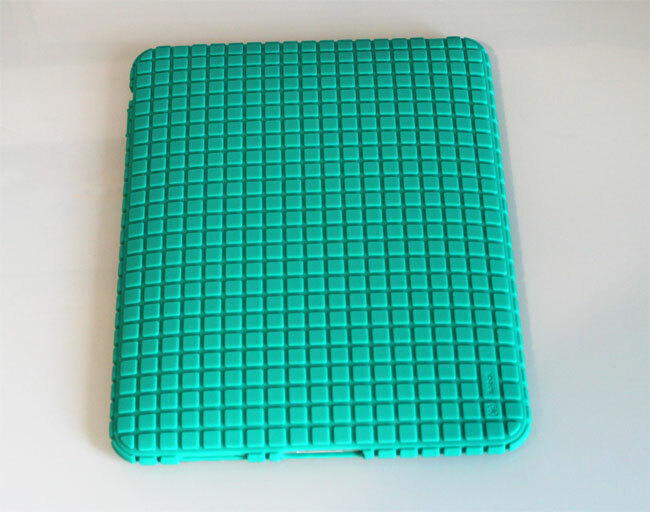 The Speck PixelSKin iPad case comes in a range of colors, which include, Black, Indigo and gree, if you want one they are available for $39.95 from Speck. We will be giving this case away in one of our future contests, so make sure you check back for a chance to win it.